St Vincent was among the earliest of the British Caribbean colonies to have experienced labour disturbances in the 1930s. While disturbances in the other Caribbean colonies were largely associated with the plantations and with strikes, in St Vincent the riots broke out on the grounds of the court house during a meeting of the Legislative Council on the upper floor. The 1935 Riots in St Vincent: From Riots to Adult Suffrage is the first comprehensive treatment of those disturbances. Fraser’s analysis is to a large extent informed by the use of newspapers and of oral history. In St Vincent, the plantations no longer had total dominance of the colony’s export economy. Instead, peasants, farmers and agricultural labourers were major players in an export economy that had shifted from sugar production to Sea Island cotton and arrowroot, crops that were suited to the lands to which they had access. Of added significance to the events following the riots was the fact that political leaders unearthed by the riots failed to maintain popular support with the advent of adult suffrage in 1951. Interpretations of British West Indian colonial history have to a large extent been informed by the experiences of the larger colonies. 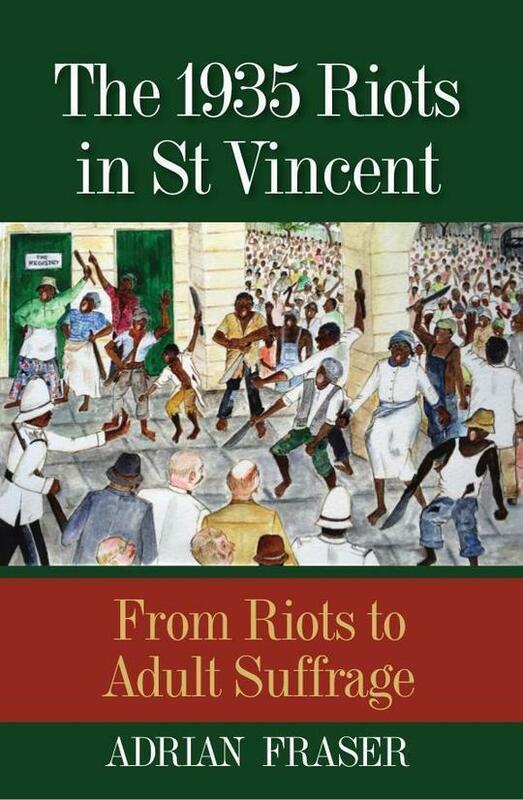 An understanding of the St Vincent riots will make a valuable contribution to the literature of the rebellions of the 1930s and to twentieth-century political history. ADRIAN FRASER, now retired, is former Head, Open Campus, University of the West Indies, St Vincent and the Grenadines. His publications include Chatoyer (Chatawae), First National Hero of St Vincent and the Grenadines; From Shakers to Spiritual Baptists: The Struggle for Survival of the Shakers of St Vincent and the Grenadines; and (with Keith Joseph) Caribbean Social Studies: St Vincent and the Grenadines.